It seems strange to place middle-aged adults in the same category as BLTs and PB&Js. But instead of 2 slices of bread, adults are finding themselves financially “sandwiched” between 2 generations: their children and their aging parents. This dual responsibility isn’t new, but it’s now more costly than ever. On one end, parents are often supporting their children past the age of 18. On the other, seniors are living longer but may not have the savings to match their longevity. Keep ahead of any future costs by focusing on preventive care. Instill good oral-health habits at a young age, schedule regular dental exams, and use your full benefits to avoid any future restorative costs. As your children get older, it’s important to set expectations. This includes their dental care and determining who will be responsible for copays, dental bills, and overall benefit costs. ° Look at a long-term health plan. 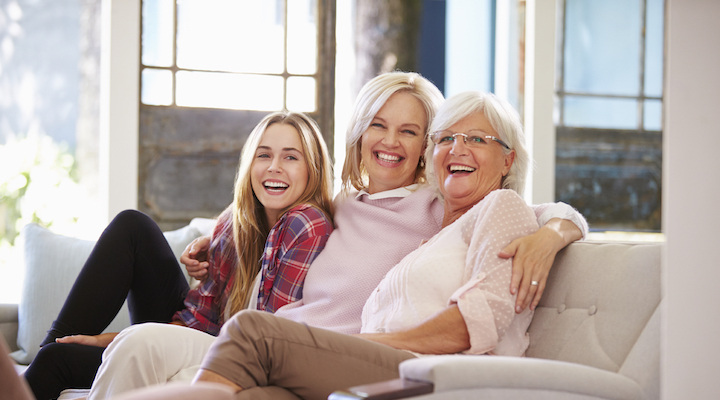 If your parents are not yet dependent on your financial assistance, have them consider a long-term health plan as a safety net. ° Supplement their Medicare plan. Medicare does not cover routine dental care, but certain supplemental plans and resources can help lower costs. Learn what these resources are and if they financially make sense for your family. ° Seek out an affordable individual plan. Many providers—like Delta Dental—have affordable coverage for seniors over 65. Learn about your options today. ° Claim them as dependents. The IRS will allow you to claim an elderly parent as a dependent if they meet certain criteria. But this option is not always guaranteed for insurance purposes. Check with your provider to see if this is a possibility. As a caregiver to both your children and your parents, it’s easy to neglect your own needs. Be sure to take care of yourself by maintaining your health, using your insurance plan, and staying up-to-date with dental appointments.